Original Pechanga's Blog: Will Incoming Chair of Senate Indian Affairs Committee John Hoeven Protect ALL Native Rights? We have contact both houses of Congress and Committee Chairmen. The role of the Chairman of the Senate of Indian Affairs should be to help facilitate (1) internal Tribal disputes that harm Native Americans and (2) the protection and preservation of individual Indians’ basic rights in internal disputes. His predecessor was disturbingly quiet when asked for help. Thousands of letters continued to be ignored. The Bureau of Indian Affairs (BIA), has abdicated responsibility and are leaving it to the Interior Board of Indian Affairs (IBIA) to overturn their decisions. In fact, The BIA may be culpable in some of the misdeeds, as we’ve seen in the San Pasqual descendant’s issue, where Indian Affairs allowed NON Natives (Fake Indians) to control Tribal interests. Few Tribes actually have tribal courts. And, in most cases, the Tribal government officials responsible for the violations of law are the very same people who pass judgment as to whether or not laws have been violated – they are the judge, jury and alleged criminal all rolled into one. Tribal sovereignty was given to protect Native rights, not to have Tribes violate our own rights. In some instances, the illegal actions occurred decades ago, however, there has been a marked increase since Indian Gaming has evolved into a multi-billion dollar business. Tribal leaders justify their right to systematically deny and/or strip basic rights and privileges from their citizens under the guise of Tribal sovereignty. A gentle reminder: The Republic of South Africa was a sovereign nation also, and the United States stood up to that oppression, thanks to the Congressional Black Caucus. The Honorable Diane Watson spoke out against Tribal Disenrollment. Presently, the Bureau of Indian Affairs and the Department of the Interior are in violation of the Trust Responsibility, The Indian Civil Rights Act of 1968, U.S. Constitution Rights, The American Indian Religious Freedom Act, The Convention on the Prevention and Punishment of the Crime of Genocide (CPPCG), as well as the ratified 18 treaties that protects California Indian rights. Nevertheless, Tribal disenrollment is growing rapidly all over the Country in violation of many tribal constitutions that are being ignored by tribal chairman and councils. The Bureau continues to ignore Indian rights and claim to have no jurisdiction, See Santa Clara Pueblo v Martinez 436 U.S. 49 (1978). Although, congress has plenary power over Indian Affairs, See U.S. Const. - Art. 1, Sect. 8, Cl.3 with the authority to waive Tribal Sovereign immunity and open investigations with all tribes who for decades have practice Tribal Disenrollment and civil right violations. The time is right for you to stand with us in this civil rights violations against the corruption that has spread throughout Indian Country. In addition, do you believe that Tribal sovereignty and the protection of basic individual rights are mutually exclusive of each other? Should sovereignty be wielded like a club to beat the weak and defenseless? I am inviting you to help us maintain our culture and help protect Native rights. No citizen of this world deserves to be treated unfairly. We are human beings, and as the first people of this country, the United States has a duty to honor every American Indian treaty and has a responsibility to protect Indian Rights. For more information on Tribal Disenrollment, please visit originalpechanga.com or follow the hashtags #StopTribalGenocide and #StopDisenrollment on Facebook and Twitter. Follow the rule of law? What about the ICRA? Congress made a special effort to protect the civil rights of Indians, but...the Supreme Court said that was not the intent of Congress. What Congress really meant was to pay lip service to civil rights while specifically leaving out enforcement provisions. Where is the justice in that? Just repeal the damn law and let everyone know that there never was any intent to protect the civil right of Indians. However, there really is a Bill of Rights. American Citizens have individual rights that are clearly defined and for which there are strong enforcement provisions. Unfortunately if you are Indian your rights as an American Citizens are superseded by the need to protect tribal leaders from prosecution for violating civil rights. Where is the justice in that? Hidden in a plain brown envelope filled with cash that changes hands in secret meetings where it is decided that individual Indians have no rights, are somewhat less than human, and that America is better off with fewer of them. 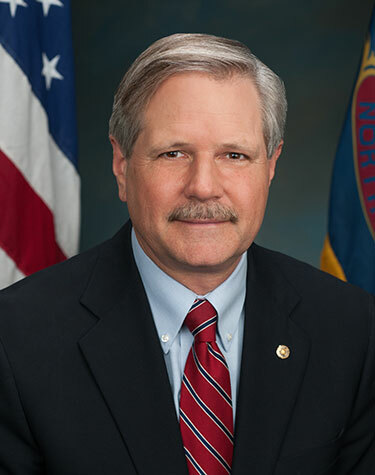 I am sure they are teaching John Hoeven how much more important those envelopes are than the lives of individual Indians as we speak.